Now getting registered for a marriage is a few clicks away for the couples. The couples who are willing to get married under the Special Act 1954, the Government has recently introduced the Aadhaar – Based online facility for the process and thus making it be mandatory. With this online process, the best part is that there is no need of a lawyer or middlemen in the tehsil office to get the marriage certificate issued. The Law Commission has already recommended that the marriage registration is mandatory and we are working on it. The online registration process is quite simple and fast. 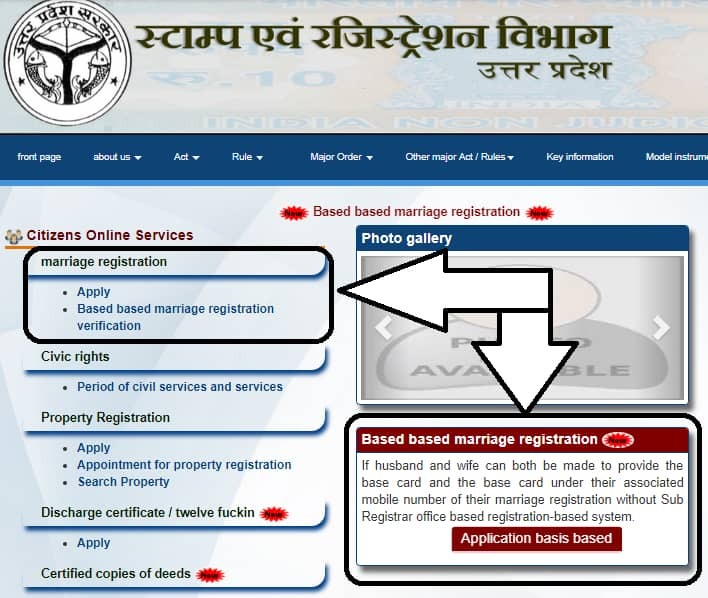 To get your marriage registered, the user has to login to igrsup.gov.in. The applicant couple (both husband and wife) must have an Aadhaar Card with their mobile numbers. After the filling of the form, a One-Time Password is sent for the access to the payment gateway. Once the payment is done (Rs 10 within the first month of the marriage and Rs 20 if more than 30 days have passed) an acknowledgment receipt is provided and the copy of the marriage certificate can be downloaded. The process includes Biometric Authentication. Thousands of people have actually used this facility and have been successfully implemented. The Law Commission of India has recommended that the marriage registration has been made compulsory within 30 days of the wedding, with no exemption to any religious community. The Panel has also decided severe punishments for those who do not follow the rules and for those who have provided the wrong information. Different camps are organized to help the couples, who have married earlier but have no certificate. The Officials said that UP is well prepared to implement the order and since the system is linked with UIDAI, it will prevent the misuse. UP is the only state where the Online Aadhaar-Based Hindu Marriage Registration System is in place. Maharashtra sees over 25, 000 marriages were registered under the Act.